The month of June is nearly complete and while Solo: A Star Wars Story has been unimpressive at the box office, I, for one, feel it was MUCH better than The Last Jedi. 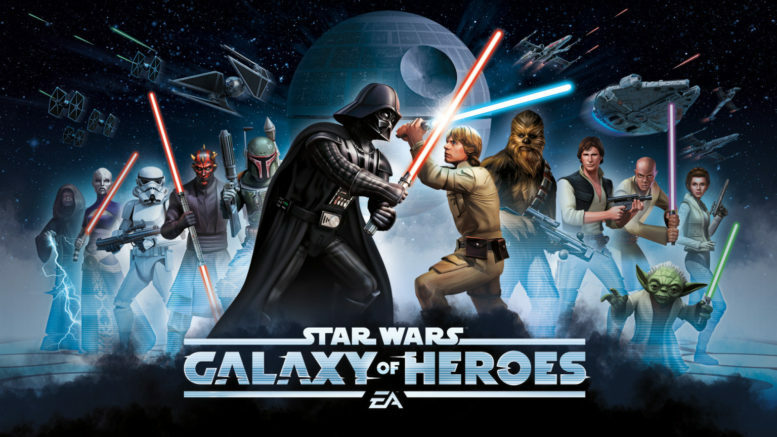 While Star Wars Galaxy of Heroes has had some major game updates in the past few weeks, it is time to look ahead to the month of July and see who the daily login character in SWGoH will be. 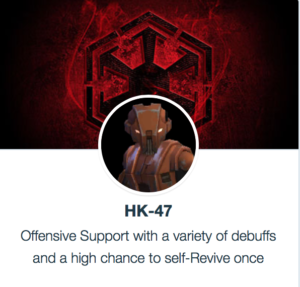 To start that look ahead SWGoH GameChanger Gaming-fans.com is be one of two select international media sources to announce that the July daily login character in SWGoH is none of than – HK-47. A character that is unknown to most of the Star Wars universe, HK-47 originally appeared in the video game Knights of the Old Republic before being an original SWGoH character. An easy farm in the Squad Arena Store, HK-47 is a former must-have in Phase 2 of the Heroic AAT because of his leadership and synergy with other droids. Of course having the best mods on HK-47 is key to maximizing his abilities, so be sure to look to Gaming-fans.com for our Best Mods guides for nearly every character in Star Wars Galaxy of Heroes. Of course the announcement of HK-47 as the July daily login character sets up the opportunity for speculation. Is a droid rework incoming? What about a new faction for Old Republic characters? Could more Old Republic toons be in the works? Only time will tell, but June’s login character was Lando Calrissian and while we got a new, younger version of Lando added to the game, there have not been any updates to the original Lando. Meanwhile, the SWGoH events calendar has also been released to the public as Gaming-fans.com is pleased to bring the schedule for the month of July to the community as well. Be the first to comment on "SWGoH GameChangers: July’s Daily Login Character Revealed"